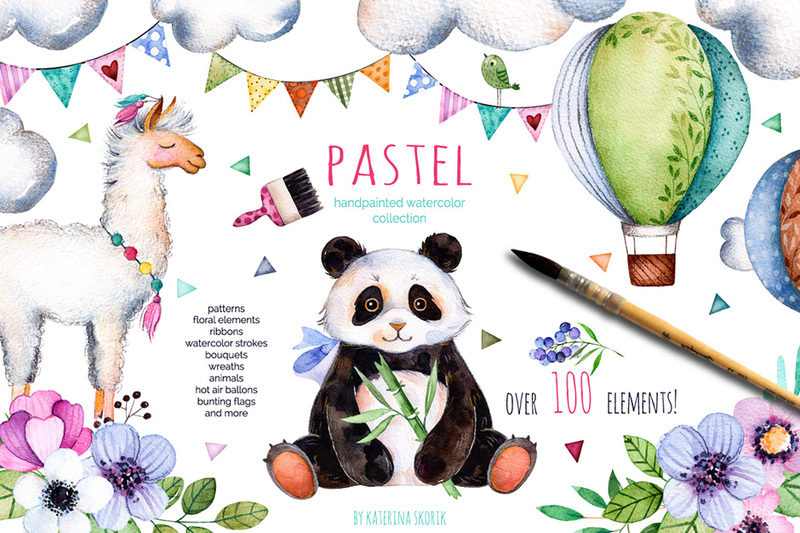 This watercolour handpainted pastel graphics collection includes all you need for your own unique creation: floral elements (flowers, branches, leaves, berries and more), decorative elements (brush strokes, ribbons, garlands, bunting flags, brushes, splatters and more), cactus and branches of bamboo. File size is approx 449.8MB (473.6MB unzipped), offered as a single download. What a cute collection! Can I use this for commercial purposes? I would love to make some birthay party invitations! Thank you! I hope this helps, Anca, and please don’t hesitate to contact me should you have any other questions. I’m here to help!